The latest research report published by Goldman Sachs-the American multinational investment banking firm predicts the price rally in Nickel to continue into 2015. The surplus in the global refined nickel market has narrowed in 2014, when compared with the previous year. The report states that the rise in LME Nickel inventories is the result of shift in stocks from Australian stockpile and Chinese bonded warehouses. The move from Australian stockpiles was witnessed since early-2013. However, the inspections at Chinese Qingdao port have resulted in movement of stockpiles to LME warehouses since Q2 this year. The shifting of stocks accounted for over 75% of the total rise in LME stocks. The research indicates that almost 50,000 mt out of the LME stock rise of 66,000 mt in 2014 is due to stock shifts. Since beginning of 2013, the LME stockpiles have increased by 180,000 mt. Out of which, nearly 80,000 mt is due to the shift of stocks from Australia and China. The ban ore Nickel ore exports by Indonesian administration have led to a strong rally in Nickel prices during the year. The prices have surged nearly 35% year-to-date. The ongoing Indonesian ban may deplete the high grade ore stocks in Chinese warehouses. This will act as the major trigger for the next leg of up move in Nickel prices. The turnaround is expected to happen towards end-2014 of early Q1 2015. The prices have currently stabilized in the range of $18,000 to $19,000 per mt. 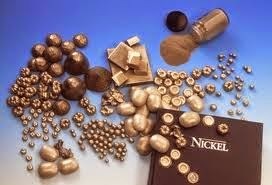 The investment banking firm predicts the Nickel prices to rise to $22,000 per mt in 2015.